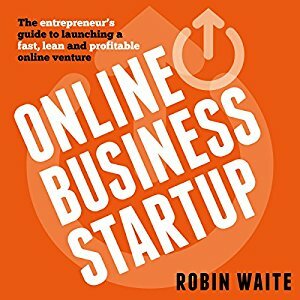 Online Business Startup: The entrepreneur's guide to launching a fast, lean and profitable online venture. 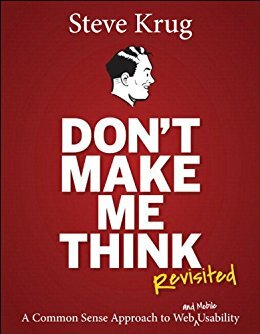 Free with your Audible trial. The first thing you need to do is to register a web address (domain name) on your name. It only takes a couple of minutes to check and reserve a domain name. What is a domain name or web address? A domain name is the internet address of a website or blog and is unique. (Ex. Google.com). Your domain name represents the URL (or permanent web address) of your website. Try to be simple, short, linked to your website subject. Registering your own domain name is the best advice I can give. I want to give you the flexibility to choose whatever you want as domain name. Without your own domain name, your “web address” is not actually yours; it’s the company who provides your “free” website. If they decide to change something, you could lose all your hard work. Imagine losing months, or even years, of hard work, just because you choose not to register a domain name! To get a domain name, you have to pay a small annual fee to a registrar. Some providers offer domain name free for first year included into hosting package. Anyway the price worth all the money in order to own a domain name. This web address is essential for a serious and professional website that will became a part of your brand and identity. Tip: If you choose one of my recommended web hosting companies from bellow, you can receive a free domain name for yearly web host package. Also as part of step one for your own website creation is finding a good company to host the site. Web hosting is where your website or blog actually sits, on a computer somewhere linked to internet. The web host is the company that hosts your site and provides you with space for your site and minimum soft required for your website to work properly. They have the equipment and technical skills to make sure your website is available to the world. Choose your hosting provider company very careful. You want that your website to be protected and available 24 hours a day, 7 days a week. You will need to sign up for an account with a web host and pay a monthly or annually free. I encourage you to choose a Web Hosting Plan for more years due to better price per month. But the final decision is yours and I want to choose what you think is best for you. Host your website with Web Hosting Hub and receive a FREE domain name and Advertising credit up to $250 ! Quick Setup Free SSD (20x Faster). It’s quick & easy. No experience necessary. Host your website with FatCow and can receive a FREE domain name! You must choose: Shared hosting (it is the most affordable and a very good starting point for beginners), PHP 5.2.4 or higher, MySQL 5.0 or higher, Apache recommended. After you buy from these providers your website name and webhost, you can go to next step in order to send me the information needed to start your very own website. HELP ! Maybe you don’t want to buy the domain and webhost by yourself or for any other reason you can’t finish this step, so I can help you to buy the domain and webhost for a fixed commission of $89. For this particular case the domain / webhost will be registered on my name and you will lose any offers from webhost providers. The domain and webhost will be valid only for one year (first year), for one domain and one website. 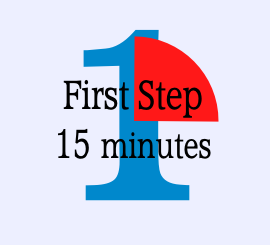 The domain name will be generated based by your keywords provided in the next step. 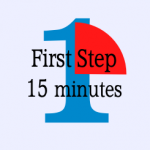 If you already have a domain and hosting, you can go on to Step 2 >>>. DISCLAIMER: I work hard to offer you valuable and reliable services. In order to provide you with my best service, I use links on my site that provide me commissions for referring you to the seller's site. I guarantee that this does not influence the quality of your website. I only try to offer you the best and most useful information possible.